            Everyone's Neck Should Stick Out! You CAN have it both ways at Neck Art! At Neck Art we have over 70 different gaiters and sport sleeves to choose from. There is something for every color palate from vivid pinks, to yellows, oranges, reds, blues, greens, browns, grays, and black. We will continue to add new gaiters and sport sleeves throughout the year so keep checking our Web Store and you can be the first on your block to rock the new gaiter or sport sleeves. Want to personalize an existing Gaiter or Sport Sleeve for a promotion or present? Want to create your own custom Neck Gaiter, Thinnie, or Sport Sleeve for your team, business, family, ski buddies, or friends? 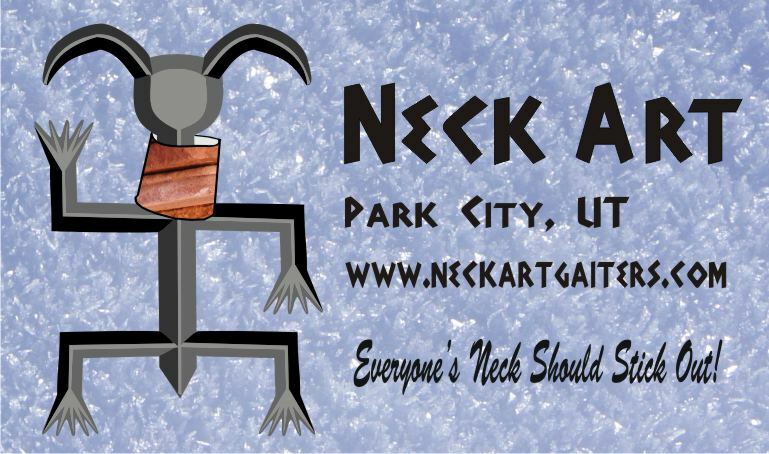 At Neck Art we can make a custom Gaiter just for you.